The mascara contains an encapsulated raw ingredient that's supposed to enhance lash-curl memory by drying down to hold the curl of your lashes. It has a nice fiber brush and a good formula, however, I don't see this luring me away from my current mascara fave. The Stay All Day 10-in-1 HD Beauty Balm is supposed to visibly improve the look and feel of skin, while doubling as a primer to help makeup stay on through the day. I haven't tried this yet but I've heard good rumblings about it. 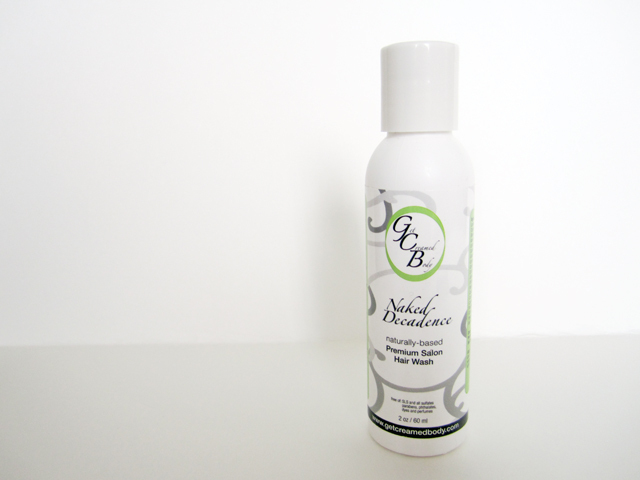 This is a Naked Decadence Salon Hair Wash. It is formulated without the harsh chemicals that some shampoos can contain, so it cleans your hair without stripping natural oils. It has a very organic smell due to all the natural ingredients. 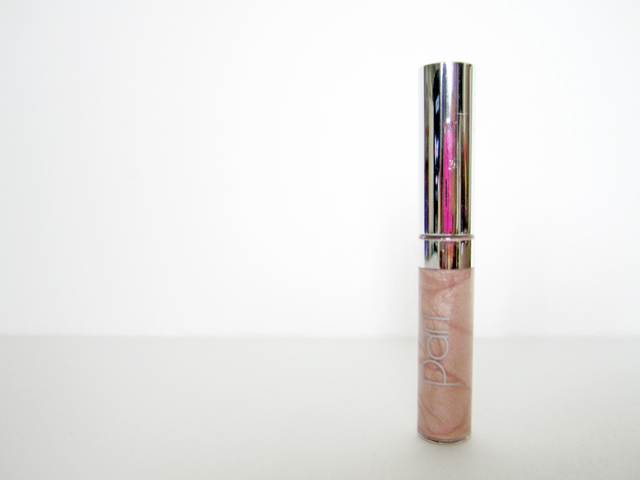 At first I thought this was a lip gloss, but it's actually a Precious Glow Eyeshadow Intensifier & Primer. 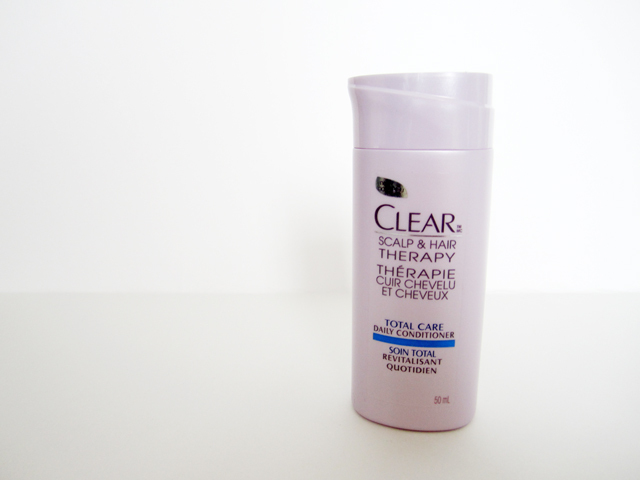 It's a beautiful shimmery lotion that works great for the eyes, face, or body. It works as a great base or as a highlighter. I received two bonus products in this month's Topbox. 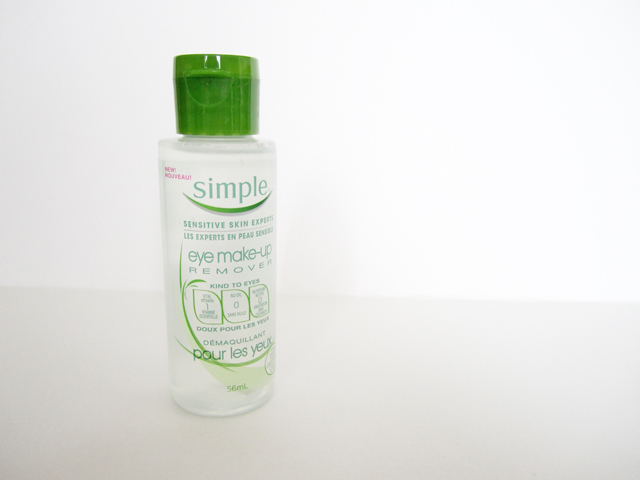 The Simple Eye Makeup Remover and the Clear Scalp & Hair Therapy Conditioner. They're great travel sizes. I've received the makeup remover in a prior beauty box and I love it. they really mixed it up this month, which is kind of fun! 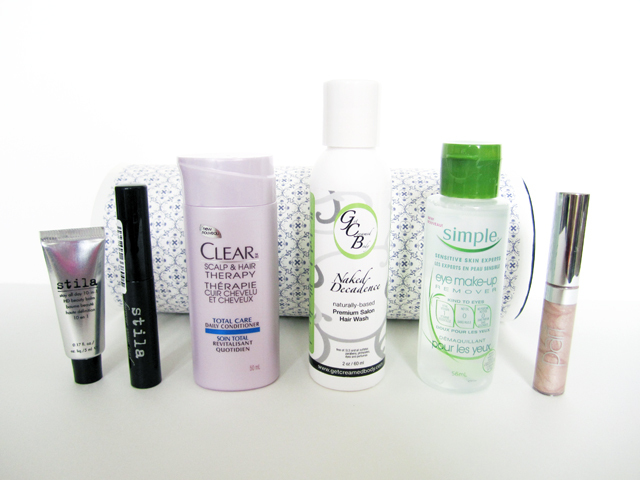 I am enjoying reading each bloggers review of their topbox since they've all been different so far! the only things we both got were the stila mascara, the simple eye makeup remover and the Pari product. Looks like a good selection this month :) Mine hasn't even shipped yet for some reason. My box is expected tomorrow. Yours looks like you got some different stuff that a lot of the other people, I really want to try the Stila BB cream but most of the people I saw got little packets of the Garnier BB cream (already have it), the Mark gloss if they hadn't before, the M.Asam Antioxidant Cream and Redken hair oil. Haven't seen anyone else get either of those hair products you got. My box was identical to yours. I am not crazy about the eye makeup remover ( I had the same sample in my Glossybox and will stick to my regular cleanser as it takes everything off in one fell swoop( B Kamins Vegetable Cleanser)and doesn't leave me with racoon eyes. 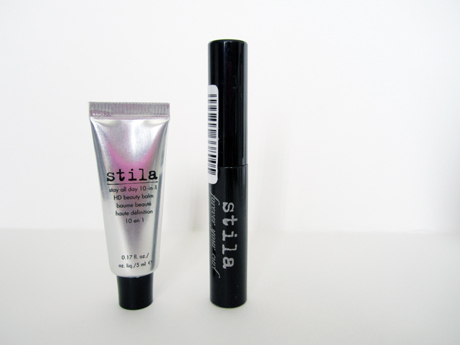 The Stila products are terrific, I have forever been looking for the perfect mascara and think this might be "The One"
That Pari eye primer looks very interesting! wow!! i was looking forward to your topbox update. i got mines already. pls let us know about Naked Decadence Salon Hair Wash. i didn't get the hair wash this month and i would love to hear your thoughts. thank you!! I received the exact same thing! Love the content. I already tried the shampoo and the eyeshadow base and the two products are great. By the way, I really like your blog. Continue your great work.